Are you trying to say that the Great Pumpkin is not real? Just wait ’til next year, Tom Fox. You’ll see! Next year at this same time, I’ll find a pumpkin patch that is real sincere! And I’ll sit in that pumpkin patch until the Great Pumpkin appears. He’ll rise out of that pumpkin patch and he’ll fly through the air with his bag of toys. The Great Pumpkin will appear! And I’ll be waiting for him! I’ll be there! 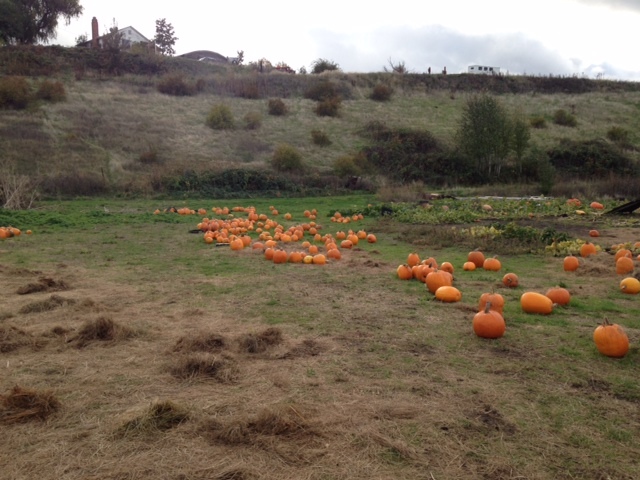 I’ll be sitting there in that pumpkin patch… and I’ll see the Great Pumpkin. Just wait and see, Tom Fox. I’ll see that Great Pumpkin. I’ll SEE the Great Pumpkin! Just you wait, Tom Fox. If Doug Cornelius, who is always right about the Patriots and most everything else, sends me such a scathing note, I thought he must also be right about the Great Pumpkin as well. So this year, I am in the same running with Linus to have the most sincere pumpkin patch and the picture you see in the corner is one that I have adopted as my own. It certainly looks sincere to me. I thought about my new-found wisdom, appreciation of the Great Pumpkin and the sincerity of my pumpkin patch when I read a recent article in the New York Times (NYT) DealB%k column, entitled “In Turnabout, Former Top Regulators Assail Wall Street Watchdogs”, by Jesse Eisinger, where he reported on his visit to an “alternative universe” populated by former top Department of Justice (DOJ) and Securities and Exchange Commission (SEC) officials who have all now joined the private sector and are white collar defense lawyers. This alternative universe was facilitated through the Bruce Carton’s recenetly held 2014 Securities Enforcement Forum, where the ‘Director’s Panel had the following luminaries: “Robert Khuzami, President Obama’s first enforcement director who now plies his trade at Kirkland & Ellis; Linda Chatman Thomspen, who served as the George W. Bush-era S.E.C. and now works for Davis Polk & Wardell; William R. McLucas, the long-serving agency enforcement director who is now at WilmerHale; and George S. Canellos, who just left the Obama S.E.C. for Milbank Tweed. (The well-known Stanley S. Sporkin, who served the agency in the 1970s, rounded the panel out. )” All had served as Directors of the SEC. Current SEC enforcement director Andrew Ceresney chaired this “alternative universe” panel. Why was this an “alternative universe”? These former regulators complained that the SEC is being too tough on their clients and indeed other regulators are being unfair to large banks! As reported by Eisinger, “The conference turned into a free-for-all of high-powered and influential white-collar defense lawyers hammering regulators on how unfair they have been to their clients, some of America’s largest financial companies.” I am also certain that they were SHOCKED, SHOCKED to find that gambling occurred in Rick’s Café American. What were some of the criticisms from this “alternative universe”? First and foremost was aggressive SEC enforcement specifically focused on the ‘broken windows’ theory to corporate crime. The panel’s luminaries “argued that the commission has focused too much on smaller infractions”. Too bad the Layne Christensen Foreign Corrupt Practices Act (FCPA) SEC enforcement action had not come out before this conference; imagine how much fun the panel would have with a $4 reference as the amount of a bribe payment to show nefarious conduct. Nothing speaks to sincerity like strictly enforcing the law. The next criticism was over the SEC moving towards “administrative proceedings to push its cases”. Eisinger said, “The critics liken it to getting a hometown judge instead of putting cases to the test of judges and juries.” But he went on to note that these same banks require customers and others go to arbitration to resolve disputes and the arbitrators on these panels are usually ex-financial sector employees. Oops. I guess what is good for the goose is not good for the gander or as Eisinger said, “When the government does it, they scream foul.” I would certainly point out to the Great Pumpkin that it is certainly sincere to argue that you should receive better treatment than your customers. The next series of complaints was leveled by Brad S. Karp, the chairman of Paul, Weiss, which centered on the fact that the banks had to navigate many different types of regulators such as the SEC, DOJ, state attorneys general, the New York state financial regulator and others. Boy that sure seems unfair, I mean banks are like the most sincere pumpkin patches around, they want to do business in all those locations but they do not seem to want oversight in all the places they do business. I wonder what these same defense lawyers would same about domestic enforcement of the FCPA and other countries enforcement of their own domestic anti-bribery/anti-corruption laws? For a hint they might want to purchase a copy of my eBook GSK in China. I guess the message here is that there are lots of very sincere pumpkin patches across the world and the Great Pumpkin really has a hard time figuring out which one is the most sincere. Santa Claus has a comparatively much easier job with simple Nice and Naughty lists. Interestingly Karp also expounded on some of the defense tactics that he uses when the government comes knocking. “First, he pushes to move the charges to a subsidiary. Second, he tries to lower the charge. Third, he said, he focuses “on the powerful individuals in an organization” meaning that lawyers need to put top management first as they prepare a defense.” Does that sound like the results of any FCPA enforcement actions you might have read about lately? Certainly nothing but sincerity in those defense tactics. However, you cannot argue with the results achieved by this star-studded cast of former government prosecutors in defense of their clients. Eisinger stated, “These strategies have been employed to glittering success. The guilty pleas and admissions have been largely by subsidiaries or been rendered toothless. Entities have admitted to charges that were narrow or unspecific and did not open them up to further private litigation. And, of course, no powerful individuals at any of the large, fine-paying companies have been criminally charged.” Once again, does that sound like the results of any FCPA enforcement actions you might have read about lately? Certainly nothing but sincerity in those defense results. And finally for all those who decry the ‘revolving door’ of government prosecutors going out into the private sector and being too soft in defense of their clients because, you know, they used to enforce the same laws; Eisinger ended his piece with a dismantling of that argument. He wrote, “Former top officials, whose portraits mount the walls, weigh in on matters of enforcement. Now working for the private sector, they assail regulatory “overreach”…And given what they say in public imagine what goes on behind closed doors.” As a lawyer, I can proudly attest to that kind of sincerity, you sincerely represent the one who pays your bills! As I near the end of this Halloween piece I fear I have come to the realization that my adopted pumpkin patch may not be the most sincere in the US, let alone the planet. I also fear that once again this year Linus may not be awarded with the one piece of recognition he so earnestly desires as well. I think that the Great Pumpkin will most probably find that the recent 2014 Securities Enforcement Forum where “The conference turned into a free-for-all of high-powered and influential white-collar defense laws hammering the regulators on how unfair they have been to their clients” is certainly the most “sincere” Pumpkin Patch on the planet this year. If you are sitting outside tonight you might well see the Great Pumpkin himself in this “alternative universe”. My heart bleeds for these revolving door lawyers and their clients. Once I manage to stop crying for them, I will return to my hope that the Walmart case will be one where Directors cannot deny that they knew and will face personal prosecution for their (lack of) actions.